The Confederation of African Football (Caf) says Cameroon has agreed to host the 2021 Africa Cup of Nations after being stripped of the 2019 finals. “Cameroon has officially accepted to host the Afcon 2021 through an official letter addressed to Caf,” a statement said. 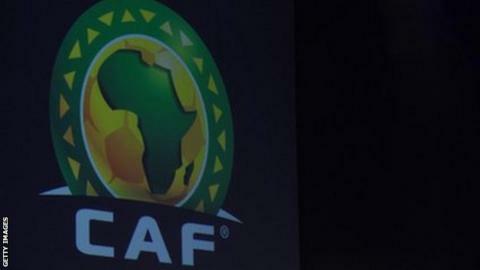 Caf statutes indicate that the awarding of a Nations Cup to a country shall be determined by the Executive Committee. Following a Caf Executive Committee meeting on 30 November, Cameroon was stripped of hosting the 2019 finals due to poor preparations and security issues. In addition to the email from Caf on 17 December, Executive Committee member Musa Bility has said no agreement was reached at the meeting. “As a member of the executive committee and emergency committee, I want to say that Caf must pay attention to its declarations to avoid creating problems,” he said. Should Cameroon stage the 2021 tournament, it means that Ivory Coast – which had been scheduled to host in three years’ time – would have to wait until 2023 prior to hosting. Ivory Coast has already lodged an appeal against this with the Court of Arbitration for Sport. Earlier this month, Caf president Ahmad told an African television station that Cameroon had been offered the 2021 finals instead of Ivory Coast. The decision on who will replace Cameroon for 2019 will be made on 9 January at an executive committee meaning in Senegal with Egypt and South Africa having made bids.